Escape Concepts offers adorable party and wedding favors. Established in 2000 while creating fun favor ideas for the proprietress's own wedding, Escape Concepts has emerged into an online store with thousands of fun favors. The company now offers save the date invitations as well as bridal party gifts. 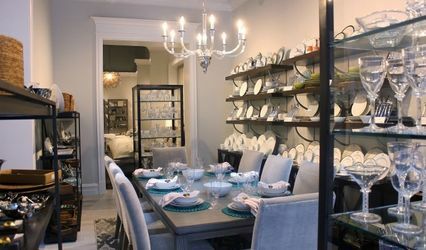 Some of the products have been featured on The Martha Stewart Show, Martha Stewart Weddings Magazine, Lucky Magazine, Bride's Magazine and others. Favors are available for all budgets and many themes, such as beach or Asian. 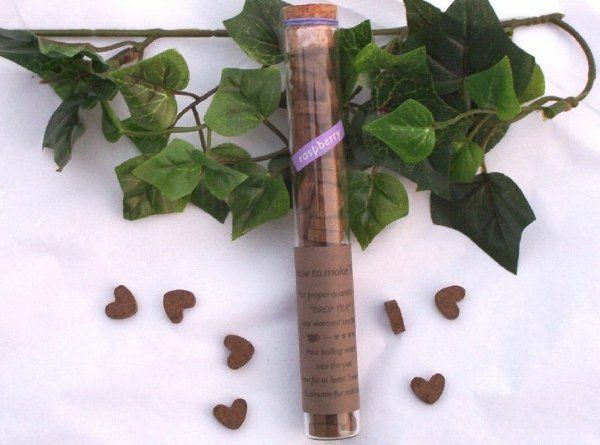 With worldwide shipping, shopping at Escape Concepts Wedding Favors is very convenient. So, what are you waiting for? Start the fun today. If you have any questions, feel free to contact us. Now is the time to order your Save the date invitations, bridal shower favors and love themed favors. Some of these are seasonal items that sell out quickly and will not be available until next year. Wedding favors are so much fun for everyone. We have favors ranging from elegant wedding favors and beach wedding favors to unique wedding favors of various themes. We also provide bridal shower favors , unique heart wedding favors and baby shower favors along with our bridal party gifts .Our wedding reception favors include cake tops and garden wedding favors. We take wedding party favors seriously! We appreciate you visiting today, and look forward to having fun with you. Wedding favors are the fun part of your wedding planning! Favors do not have to be traditional. Wedding Favors can be anything that reflects your style. 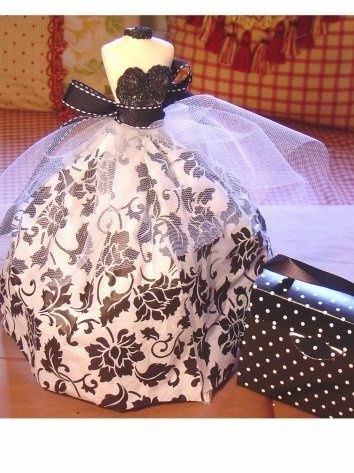 We have a large selection of bridal shower favors and wedding favors to help you make a memorable day! Now that the date is set, wedding favors are a great way to say thank you to those sharing that day with you. From the bridal party gifts to the wedding reception favors, we have a great selection. From elegant wedding favors to beach wedding favors. Or maybe a garden wedding? We have garden wedding favors. If you are having a wedding on the most romantic day of the year, we have heart wedding favors or how about romantic candle wedding favors? 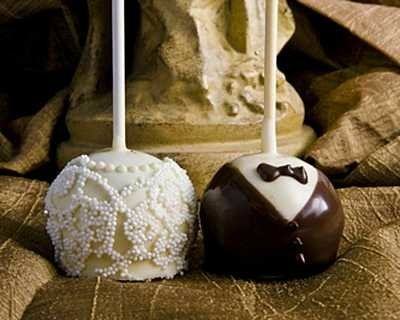 Elegant, nostalgic and Unique Wedding Favors will create great memories for you and your guests. The wedding favors you choose will give your reception that unique touch with our vast selection of wedding favors to choose from. 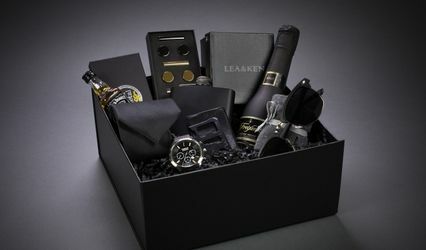 Here, you will find a wonderful selection of Themed Wedding Favors that are not only perfect for weddings, but also, showers, parties, and corporate events. 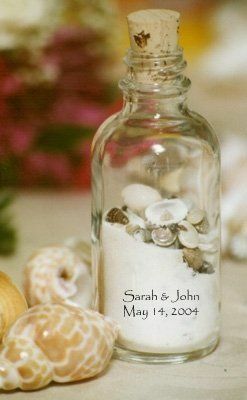 We carry a large selection of wedding favors that are perfect for themed events, such as the seashell candy and flip flop candles for beach theme wedding favors, or the blooming favors for garden wedding favors . We also have party favors that can fit into any category, such as, the bubblegum buddies favors, which can be used for any event or theme. We also carry a large selection of bath and body products that are great for anytime, gifts, or for that extra special touch for your honeymoon. Looking for something unique to add that special touch to your reception? How about our cute cake tops or wedding sugar sticks? A new idea for guest books would be our guest book photo albums. You just simply use a Polaroid camera and take photos of your guests as they enter and have them to sign the book. So, no more wondering who is Glen Roberts. Just look at the photo guest book. What about announcement parties or after the wedding celebrations? We have a nice selection of wedding party favors and placecard holders that would be great at engagement parties or bridal party luncheons. There is a huge selection of baby shower favors for that bundle of joy. From baby shower candles to baby shower candy. There is a large variety of wedding favors, cute bridal shower favors and baby shower favors to choose from. Take your time and have fun. Save the date invitations are fun and available in so many different styles these days. Personalized mints are an economical way to say thanks. Just married flip flops are the perfect honeymoon gift for the new couple. 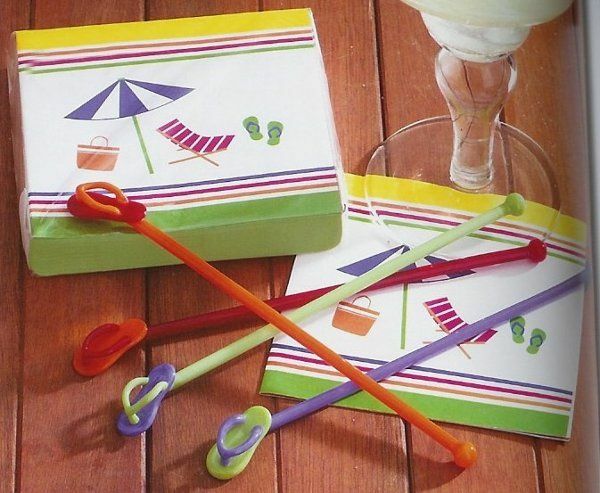 Flip flop swizzle sticks and flip flop napkins are great for beach parties. These personalized sand and shell bottles are so cute. Consider these for your next beach event. These milk chocolate seashell candies are delicious. These cute beach glass photo coasters are unique and cute. Flip flop cookies will make a big impression on your guests. How cute are these beach mint tins! These cute flip flop toe rings make cute gifts for the wedding party. Just married keychains are cute beach favors. These pewter flip flop magnets are very nice. These flip flop paper napkins are great to have at your beach themed affair. These beach themed photo albums make great beach themed wedding favors. 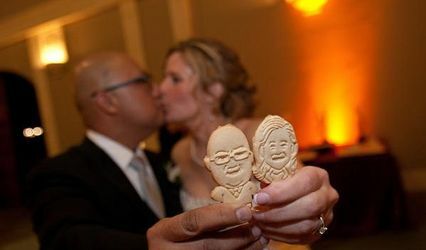 Custom caricature cartoon cookies are sure to be a big hit. Dice lollipops are perfect for your Las Vegas themed event. 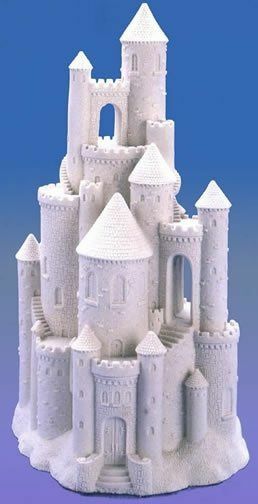 Order products totaling $149 or more and mention wedding wire and we will give you free shipping. This discount can't be combined with any other discount. Mention wedding wire free chairs on your online order (online orders only) and you will receive 3 assorted beach chair frames for every $50 in products that you order. For example, if your order totals $110 before shipping and taxes, and you mention wedding wire free chairs, you will recieve 6 assorted beach chair frames. Can't be used in conjunction with other promotions or discounts. Mention wedding wire on your online order totaling $100 or more before taxes and shipping(online orders only) and we will deduct 10%. Can't be used in conjunction with any other discount or promotion.